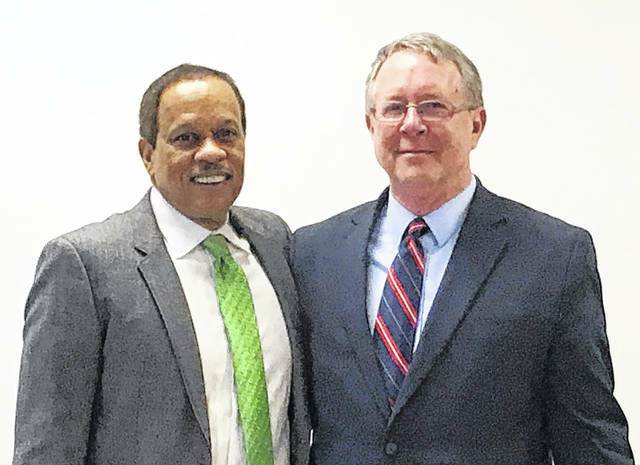 Gary Abernathy and Juan Williams are shown following a part of the program at the Georgetown Day School in Washington D.C. on Thursday. The event was organized by Kevin Barr, the associate head of GDS, a private liberal school established in 1945 by people from African-American, white and Jewish families who wanted their children to attend school together at a time when Washington D.C. schools were still segregated by law or custom. 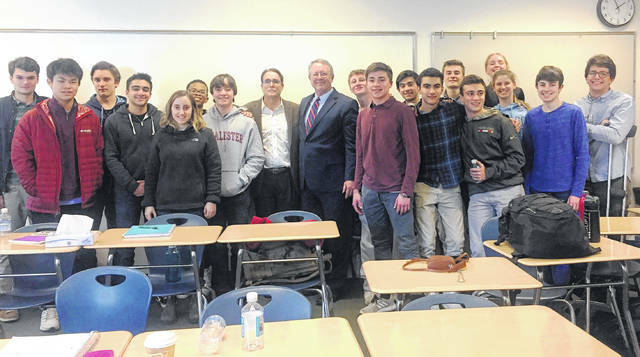 High school students at GDS heard presentations from various speakers and engaged in conversation and debate about the factors that led to President Trump’s election, the reasons for his continued backing from his supporters, and the prospects for the future. Others who participated included: Juan Williams of Fox News Channel; David Frum, senior editor at The Atlantic and author of “Trumpocracy: The Corruption of the American Republic;” Jennifer Miller, a Washington Post contributor; Sarah Stillman, contributor to The New Yorker; and Thomas Edsall, longtime New York Times reporter and columnist and a professor at the Columbia University School of Journalism. Abernathy, who is also a contributing columnist for The Washington Post, said the event was enlightening for participants, students and faculty. Abernathy expressed his appreciation to Barr for inviting him to participate in the symposium, as well as for his dedication to exposing his students to various viewpoints. During his D.C. visit, Abernathy also toured the offices of The Washington Post. https://www.timesgazette.com/wp-content/uploads/sites/33/2018/02/web1_gds-gary-juan.jpgGary Abernathy and Juan Williams are shown following a part of the program at the Georgetown Day School in Washington D.C. on Thursday.